Bing offers various features through its Webmaster Tools though you have the option to submit your site anonymously to Bing search engine. You can use your windows live id to register for Bing Webmasters. Note Bing search engine is used by Bing as well as Yahoo network together having over 15% of the search engine market share in US. Register for Bing Webmaster Tools here. 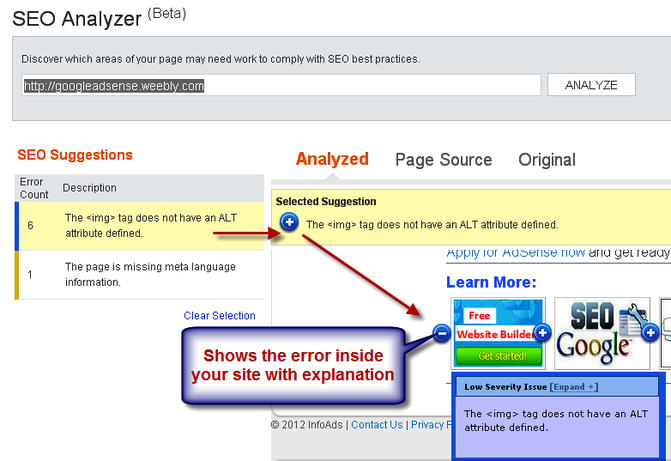 Copy and paste the meta tag in your site header area and click on Verify button. You can check under Configure My Site > Verify Ownership to make sure your site is verified successfully. Bing in competition with Google Webmaster Tools offers various high end tools for optimizing and improving your site ranking in SERP. The options are categorized under three categories – Configure My Site, Reports & Data and Diagnosis & Tools. Submit your sitemap to inform Bing search engine about all your web pages and the structure of your site. Select Sitemaps under Configure My site tab and enter your sitemap and submit. (Change the number in incremental manner if you have more than one blog in a single site). After submission the status will be pending and Bing may take few days to a week time for checking and indexing the submitted pages in the data base. The status will be changed to Success once submitted pages are indexed successfully. You have further options of blocking you site from Bing Search, informing Bing about low quality links pointing your site (Disavow links) and controlling the pace of bingbot crawls your site. Page traffic report provides you a detailed insight of how many times your page appeared in the search, average search position and click through rate for each of your pages. 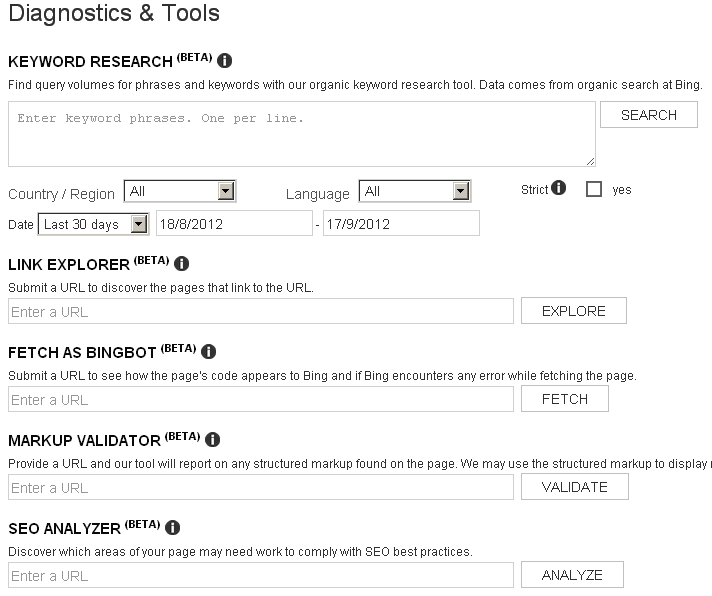 Bing provides exhaustive diagnostics tools to optimize your site for better ranking in SERP. Normally every search engine takes few days to a month time for crawling your site. You have an option to submit your site manually to Bing using Fetch as Bingbot option. Bing Web master Tools is a free service as part of Microsoft's Bing search engine which allows web masters to add their websites to the Bing index crawler.For increasing our website traffic its so use full. Video watch online HD today latest all new full episodes of Colors Tv KumKum Bhagya. KumKum Bhagya is an Indian hindi drama serial complete episodes. this information is very useful. thanks to sharing with us.